One week after the Rye City School District voted unanimously to approve a resolution to place a $79.99 million bond referendum before voters on March 12, we sat down with Schools Superintendent Dr. Eric Byrne, School Board President Karen Belanger, and Board member Jennifer Boyle to gain a better understanding of how, if the bond passes, the money will be spent and the long-term benefits to the students and the campuses. Of the total, $41.1 million will go to Capital Projects, primarily to improve security and create more flexible classroom spaces; and $38.8 million will be spent to repair deteriorating buildings identified by a Building Conditions Survey. Both components of the bond were presented to the Board in December by Superintendent Byrne. We began our questions with ?What is the goal of this bond?? Among them is giving flexibility to teachers, replied Dr. Byrne. ?Instruction will no longer be limited to one mode ? the lecture, which was based on teaching methods in the Industrial Revolution.? He added that studies coming out on productivity and student engagement show that cross-collaboration is key to both. ?In Middle School, we already organize kids in teams.? Was the Board wary of asking the community to approve an $80 million bond referendum, the biggest in Rye City Schools history, when the County Executive indicated that the County will need to raise taxes, the City is struggling to pay for long-needed infrastructure repairs, and taxpayers? local tax deduction is limited by the new federal tax law. ?You can only put one referendum out,? he stated. ?We took a conservative approach. We started with the need today and in five years. We can?t lay out a menu of options.? He added, ?School districts have been forced into this. There has been no significant capital spending with the tax cap.? Belanger added, ?We have had only discrete spending where needed, like replacing a boiler.? Byrne told the paper that the District?s new contract with teachers helps make the plan work. Salaries and Benefits, mostly for current and retired teachers, make up 78 percent of the District?s operating budget. ?The old salary system had 19 steps, and increases could vary greatly step-to-step over the course of a teacher?s career. The new plan has 30-steps, coinciding with 30 years, with all steps incremental increases being 1.85 percent. This way we can plan our costs far better.? Both the borrowing and the work is scheduled over a four-year period, 2019-2023, at interest rates between 2.30 and 3.45 percent. According to information provided by the District, a Rye home with a full market value of $1,689,000 and an assessed value of $26,600 would have a 30-year average monthly tax increase of $3.23 related to this bond only. Existing debt will be retired by 2033, with annual payments of between $3.87 and $1.06 million. The Board foresees no future borrowing needs over the term of this new 30-year bond. A total of approximately $42 million will be spent at Rye High and Middle schools, including renovation of the Performing Arts Center, the replacement of the turf field and track, and the installation of a tarp system. 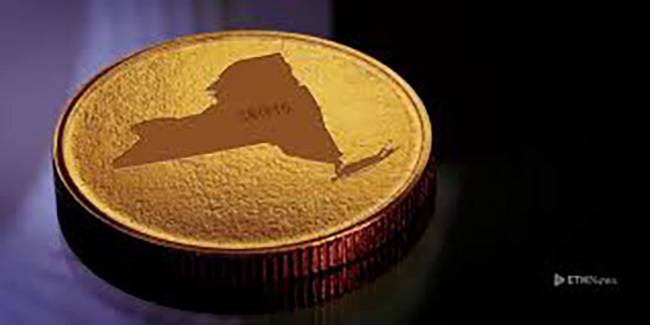 Over time, New York State Department of Education will reimburse the District for 14.9 percent of the total cost, projected by the District to be $11.9 million. That amount will go into the District?s operating budget. We wanted to know if the District would ask a group like the City of Rye?s Finance Committee to perform a revue of the proposal, similar to the City?s rigorous financial review in 2018? ?We have an annual audit; we do internal audits, and we have an Audit Committee made up of ?local talent? from the financial world,? said Belanger and Boyle. The last school approved by voters was for $16.35 million in 2012 to build a new Science Wing, which opened in October 2014. In the bond, money is earmarked for technology programs. ?The Science Wing added space specifically meant for science programs,? responded Byrne, ?We still have a need to expand and improve space for technology programs ? engineering and robotics. Rye High students are currently using an old woodshop space for those programs.? He added, ?The improved space will also be geared toward art classes. It?s a lot like the new building at Rye Country Day.? Some in the community wonder why the new turf field can?t be paid for by donations again? ?We get about $600,000 a year in donations,? said Belanger, ?but those are earmarked for specific projects.? According to Byrne the field is a major challenge. ?It is not just about flooding, any water sits atop the field, and the current tarps take too long to set up. We had experts from Holland come in, and we will have a customized tarp system.? The District has emphasized in its presentations that both the turf field and the Performing Arts Center are community facilities, not just for use by the schools. What happens if future Boards need to pay for new capital projects, will their hands be tied? ?We will still have a healthy reserve fund, but major things like new roofs are in this plan,? replied Byrne. What if there is a major new idea about classroom design or teaching technique 15 years down the line? ?These aren?t radical changes we?re making here. We?re creating active learning spaces,? he said. Belanger added, ?We are putting more funding into much more robust professional development.? Taking a cue from Wall Street, Dr. Byrne has been taking the proposal on the road ? The Osborn to hear from seniors, the real estate community. The School Board is hosting a Community Caf? tour March 2 from 12-2 at Rye High and Middle schools. Detailed information about the bond may be found at ryeschools.org. 217 Oakland Beach Ave: In Contract !! 8 Packard Court: Perfection In Rye!! Subscribe to our Newsletter for new posts, news & updates. Let's stay connected! Your opinion matters. Let us know what you think about your community. For 22 years, The Rye Record has reported on the community — its people, organizations, businesses, schools, athletic feats.